Has South Korea found a successor for Kim Yu-na?Up and coming teenager could surprise for the home country at this year’s Games. For years, the name Kim Yu-na was synonymous with success in the sport of women’s figure skating. She is a two-time world champion and won Olympic gold in Vancouver in 2010, following up that performance with a silver four years later in Sochi. For the longest time, it seemed there was absolutely no one in the world who could even come close to matching her. She is the only figure skater in history to win the skating grand slam under the new judging system. When Kim’s career ended after the last Olympics, many saw it as the end of an era in the sport, not only for South Korea, but also for competitive figure skating. Kim set eleven world records throughout her illustrious career, breaking eight of her own in the process. Despite this year’s Games being on home soil, the absence of Kim leaves Koreans without a true “hero” to rally behind, one major reason why ticket sales have not gone as smoothly as expected. In the run-up to Pyeongchang, the 8th edition of the Asian Winter Games were held in Sapporo, Japan almost exactly a year ago. South Korea ranked second in the medal table, with 50 medals overall, including 16 gold, but one in particular could give people reason for hope that there just may be someone ready to step in and create a sensation on home soil. The teenager could be the answer to South Korea’s prayers at these Games, coming to Pyeongchang as the reigning gold medalist in the ladies figure skating competition in Sapporo last year, beating out Li Zijun of China who took the silver and Elizabet Tursymbayeva of Kazakhstan who won bronze. Choi will face some stiff competition competing against the likes of Russia’s Evgenia Medvedeva and Alina Zagitova, as well as the United States’ Mirae Nagasu. With Choi now ready to compete back at full strength following the second half of 2017 which saw her struggle through a foot injury, home ice could be the element needed to create the sensation which these Games are longing for - another aspiring homegrown superstar overcoming the odds and being crowned champion in front of her countrymen. The figure skating competition will take place near the end of the Games, with the ladies technical program to take place on Feb. 21, with the free skate to come two nights later. Kim Ha-nul will also compete for South Korea in the ladies competition, while Cha Jun-hwan will compete in the men’s draw. 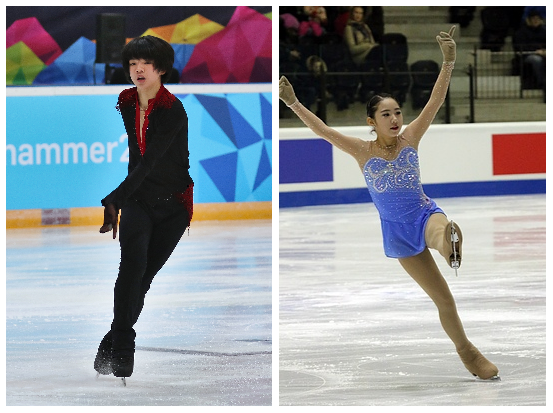 Korea will also have entries in the pairs and ice dance competitions, being represented by Kim Kyu-eun and Alex Kangchan Kam and Min Yu-ra and American-born Alexander Gamelin, respectively. Of note, a pairs duo from North Korea will also be represented in Pyeongchang. Ryom Tae-ok and Kim Ju-sik qualified for the Olympics thanks to a fifth place finish at the Nebelhorn Trophy last September, and thanks to spending a few months in Montreal last year training with renowned Canadian coach Bruno Marcottte, could also be poised to make a run at a medal.